While being able to conduct rapid species assessments becomes more important as a conservation research tool, we also want to take a closer look at the reef and the fish that inhabit. Our research team uses the ‘Benthic and Fish Survey Method”, an off shoot of the reef check methodology. It’s perfect for everyone who want to join our research team as this method is designed to assess reef health with minimal training but big support for the wildlife conservation. Data on fish species, size and biomass is collected along with the benthic composition of the sea floor using this surveying method. The data is inputted into our databases to contribute to various marine biologist studies of current reef health for marine protection. The research team of the Gili Shark Conservation Project cooperates with PADI 5 Star Dive Resort Oceans5 to conduct the benthic and fish survey dives. Participants go through practice surveys on land and several presentations, detailing both the method and the various fish we are looking for to increase wildlife conservation. The basic method requires four people, each with their own independent role. The team members count every fish of specific species that is longer than 8 cm either side of a line, which another team member lays. Finally the Substrate team member records the composition of the sea floor every 50 cm. These dives are lead and monitored by our lead scientist. 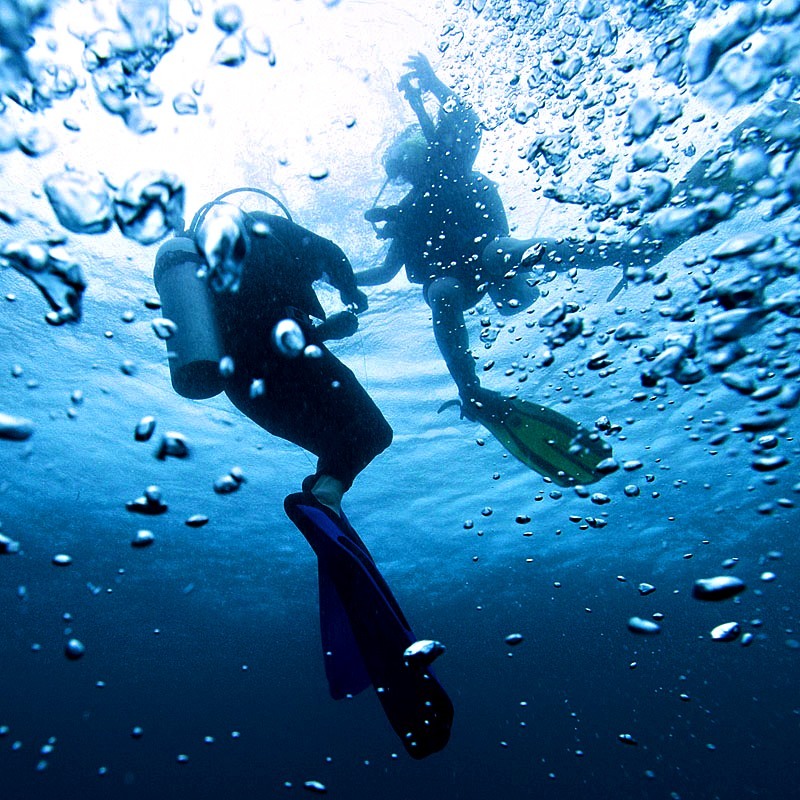 First researchers must become good scuba divers before they progress onto research diving skills. 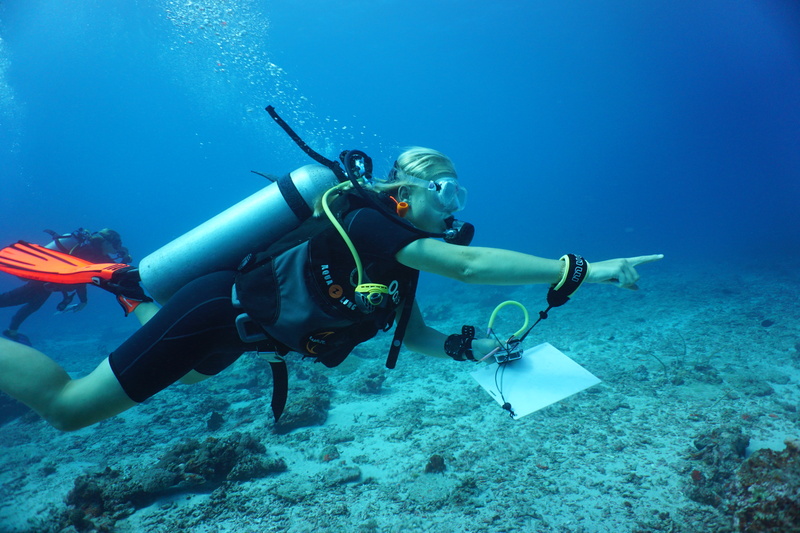 The data is collected on behalf of our partners and aids their research on an international basis, while also highlighting our own aims around the Gili Islands and the marine conservation. Partnered with our other projects, including the Baited Remote Underwater Video, Photographic Identification and Roving Survey Dives projects, we use the collective data and results to change to parameters of the Gili Matra Marine reserve to create a more effective local marine management strategy. Our goal is, that this leads to new regulations for no-fishing zones and limiting tourist access to critical habitats including breading grounds, nurseries and congregation areas to maintain and regrow identified target zones throughout the reserve. Marine protection is one of our biggest concerns to secure all underwater species and corals around the Gili Islands. Join our project and learn how to protect and research the beautiful Indonesian underwater world!